Transparency statement: I participated as a mentor for all three Lights! Camera! Access! 2.0 events. All photos by B.A. Haller. The photo at right is from the November 14 White House event with Maria Town, left, senior associate director in the White House Office of Public Engagement, and Towson University mass communication student, Ben Pearce. In three summits during fall 2016, Lights! Camera! Access! 2.0 (LCA 2.0) provided mentoring and networking for young disabled people interested in media careers. Tari Hartman Squire, CEO, EIN SOF Communications and the Loreen Arbus Foundation, in collaboration with City University of New York (CUNY LEADS & CUNY Coalition of Students with Disabilities), Deaf Film Camp, DisBeat, Gallaudet University, National Disability Mentoring Coalition, PolicyWorks, SIGNmation and NY Womenin Film & Television, hosted events at CUNY’s John Jay College of Criminal Justice (October 31), the White House (Nov. 14), and Gallaudet University in D.C. (Dec. 12). “Loreen and I are proud of Team LCA 2.0 collaborative Phase I accomplishments, including two Think Tanks that coincided with ADA25, adoption by the Clinton Foundation as a ‘Commitment to Action,’ co-branded CBS News/LCA 2.0 Internship, three Resume Review, Speed Interviewing and Flash Mentoring Summits, and expanded partners," Squire said. “We look forward to launching Phase II with adding Summits in Hollywood, Informational Webinars, expanded Internships, deeper focus on the Disability Narrative Imperative, collaborations with Industry Associations and Unions, and building the groundwork for our LCA2.0 Mentoring Data Tracking System. We welcome new partners and collaborators who want to support the next generation of media professionals with disabilities,” Squire explained. Becky Curran (pictured left), coordinator of EEO and diversity at SAG-AFTRA and who participated as a mentor at the Oct. 31 LCA 2.0, explained how important these events are for young disabled people: "LCA 2.0 is a wonderful opportunity for college students, who happen to have disabilities, to find mentors in people like them, who are in professions that they want to seek out for the near future." The summits drew high school students, college students and recent graduates with disabilities who participated in resume reviews, flash mentoring, networking discussions and heard from speakers and panelists with disabilities about how they got into media work. Rutgers University journalism/media studies/theatre 2013 graduate Melanie Waldman said the events she attended gave her a new perspective on the vibrant and diverse community of people with disabilities: “Before attending the summit, I don't think I truly realized just how broadly the disability community extended. Between mentors, mentees and the event organizers, whether able-bodied or not, every single person in attendance was working towards the same goal. “I think that it's incredibly empowering to know that my community is not just around to be present as a support system, but that they are truly working at their utmost capacities to further our future careers into the world of entertainment and media. It's given me the motivation to take a look at my own work and realize the true power I have within myself to help change the ‘disabled narrative’ as a millennial post-grad with disabilities,” she explained. Waldman blogs about her experiences as an amputee at Where’sWaldman. 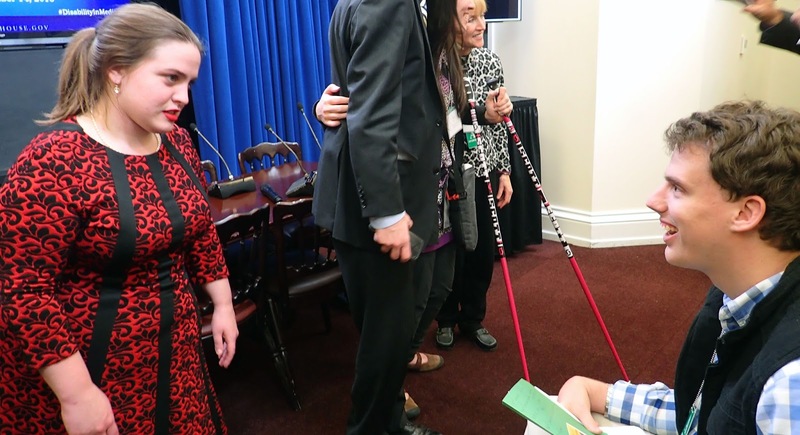 At the November 14 White House summit, Scott Silveri, creator of the ABC network comedy “Speechless” that features a main character with a disability played by a disabled actor, spoke about his focus on authentic casting. The show is based on Silveri’s family; he has an older brother with cerebral palsy. In picture right, the creator/producer of the ABC comedy "Speechless" Scott Silveri speaks to attendees via a telepresence robot named ALF (Accessible Life Form) that resides at the USDA TARGET Center. Maria Town, senior associate director in the White House Office of Public Engagement, helped organize the White House summits. Her work focuses on connecting the White House, the federal government, and the disability community. 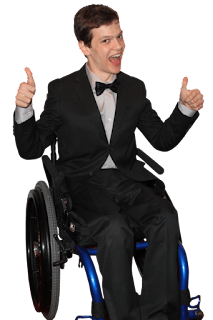 At the White House summit at Gallaudet University on Dec. 12, Town questioned “Breaking Bad” actor RJ Mitte about what he wants the future of disability media to look like. Mitte has cerebral palsy. “I look forward to seeing more people with disabilities on television. There is such a small percentage of characters that actually have disabilities on current television. We need people to see people with disabilities and bring the normality of it,” he said. Mitte added that he thinks through events like Lights! Camera! Access! 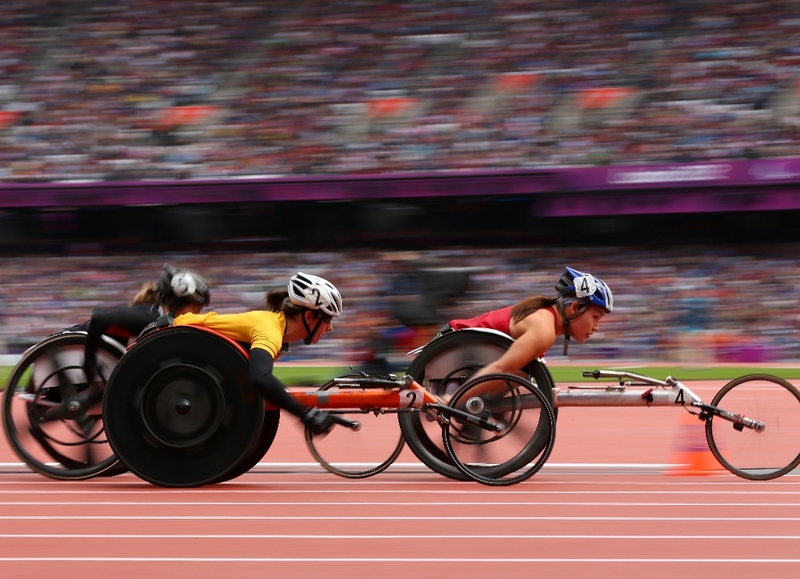 2.0, the media will make a positive turn in disability representation. “I hope to see more realism, more honesty, and more truth in our television because that’s what people are hungry for,” Mitte explained. Mentor Emily Ladau (pictured left), communications consultant and writer at Words I Wheel By and Editor in Chief of Rooted in Rights, said she wanted to give back: "I attribute much of my early career success to mentors who provided guidance and support, so when I was offered the opportunity to serve as a mentor for LCA 2.0, I knew what an honor it would be to pay it forward to the next generation of media-makers in the disability community." Anna Pakman, director of Digital Strategy, Empire StateDevelopment in New York, moderated panels at all three events on the topic of media careers. Speakers on the Dec. 12 panel Pakman moderated were: Scott Lewers, senior vice president, TLC Productions; Tyrone Giordano, community engagement strategist, Communication Service for the Deaf; and Roger Purcell, director of Customer and Competitive Intelligence, Conde Nast. Pakman said: "Whether it’s the boardroom or the writer’s room, if you don’t have a seat at the table, you don’t exist. It’s important to build a talent pipeline, not only so that this generation has more of an opportunity in the industry, but also so that our stories get told for years to come." In the picture right, Pakman, right, does a resume review with a Deaf student filmmaker from Rochester, N.Y.
At the Oct. 31 LCA 2.0, Vanderbilt University’s Next Steps Ambassador Program and Eye to Eye were inducted into the Susan M. Daniels Disability Mentoring Hall ofFame. In November, Colorado voters approved a ballot that made it the fifth state to legalise physician-assisted suicide (excluding Montana, which allows it via court ruling). Discussions around this issue are understandably fraught. At a time when legalisation is becoming more common, it’s now even more important that we consider how the debate around assisted dying is framed. Not only the news – but also documentaries and fictional entertainment such as novels and films contribute towards the public understanding of euthanasia. And in the main, such fictional depictions and documentaries are largely in support of assisted suicide. Unless handled carefully, such media could work to stifle the debate. 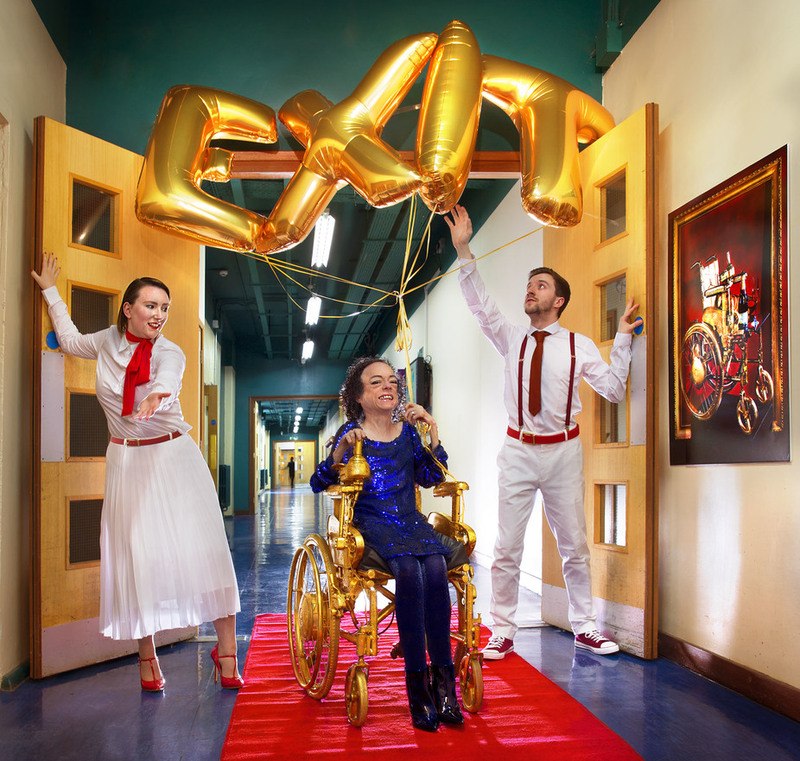 A musical attempting to highlight this dynamic was staged this weekend at Liverpool’s Unity Theatre as part of DaDa Fest – an arts festival which delivers events based around disability. Assisted Suicide: The Musical is described by its creator, Liz Carr, as “a TED talk with show tunes”. Carr is a well-known disability activist, comedian and actress, who has spent a lot of time campaigning against the legalisation of assisted dying. The musical finds Carr, alongside a small cast of actors, singing a collection of catchy tunes which draw attention to various issues surrounding the debate, including the contested notion of choice and the various social barriers faced by those living with disabilities. The musical is refreshing for many reasons – not least because it addresses the bias of creative work exploring this contentious issue. 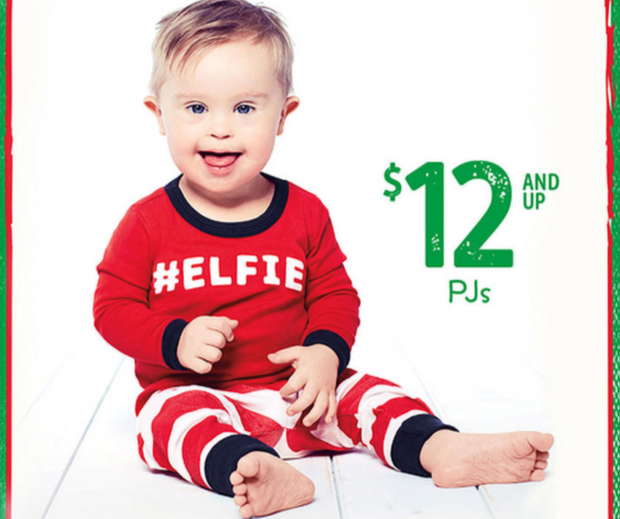 As Carr points out, it’s very rare to see people with disabilities being shown to lead happy and fulfilling lives. It’s the stories in which individuals request to end their life that receive most attention. A film released this year called Me Before You played a large role in highlighting this bias. Carr and other campaigners from the group Not Dead Yet protested against what they saw as the film’s romanticisation of euthanasia at its premiere in June of this year. Based on a 2012 novel by Jojo Moyes, Me Before You tells the story of Will, a young man who is left quadriplegic after being hit by a motorcycle. On realising that his paralysis is permanent, Will requests to travel to Switzerland where he can be helped to end his life. Much of the novel is concerned with the romance that develops between Will and his carer, Louisa. Despite their feelings for one another, Will maintains that he will not change his mind about ending his life. Louisa struggles to understand how their relationship is not enough for him to want to live. Criticism of Me Before You was certainly justified – the film doesn’t do enough to criticise the social barriers Will faces nor does it delve into the mental health side of things. And yet there are individuals living with disabilities who are not wholly disappointed with the way in which the film raised the issue of assisted suicide. The dialogue which emerged in response to Me Before You raised questions over the way entertainment explores these issues and its role as a means of engaging the public with the ethical debates around euthanasia. Documentaries also have an important role in setting the agenda of these debates. Assisted Suicide: The Musical pokes fun at these, too. Carr believes such documentaries are intended to pull at audiences’ heartstrings by showing disabled people as pitiable – and euthanasia as a suitably compassionate response. No specific examples are mentioned but documentaries such as the BBC’s How to Die and Terry Pratchett’s Choosing to Die undoubtedly fit the bill here. Once again, the issue is representation. It’s not so much that these portrayals are maliciously insincere, only that so few documentaries consider how disabled individuals should be assisted to live, not simply to die. There do exist books and films which are, at least to my mind, more adept at handling the topic of euthanasia and disability. You’re Not You is both a novel and a film which centres on the life of Kate, a classical pianist who is diagnosed with ALS. Kate employs a carer – Bec, a college student desperate for money, who applies for the job despite a lack of experience. The narrative ends with Kate being taken off life support. Or there’s the 2011 French film The Intouchables, loosely based on a true story in which a wealthy aristocrat hires a young man from the projects to be his caregiver. The film ends with Philippe marrying the love of his life. The difference with these narratives is their capacity to reflect nuance – to show the characters as indecisive, to show the realities of their condition while also showing them enjoying life. The key point here is uncertainty. Disability rights groups who reject physician-assisted suicide focus on the idea that it’s understandable to want to end one’s life but also that this is never permanent, just a phase. Whether you agree with this perspective or not, the high book sales of Me Before You and Carr’s sold-out musical demonstrate that the arts are a prominent platform for engaging people with social and bio-ethical issues. They may not always be successful in terms of appropriate representation, but they still promote reflection on how they participate in and frame these discussions. And such reflection is to be promoted. It encourages future books, plays, films and documentaries to acknowledge the complexity of this issue and avoid attempting to provide a blueprint that must be followed in order to achieve clearly defined positive or moral outcomes. First off, I'd just love for you to tell me about yourself. What do you like to do? I'm 18, a high-school senior, and grew up in Barnegat, New Jersey. I have cerebral palsy and use both a walker and a wheelchair. 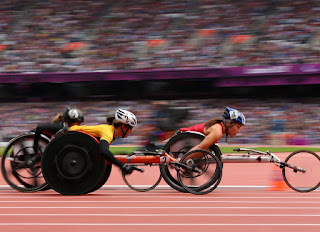 I use the wheelchair for longer distances. Unlike J.J. in Speechless, I do communicate verbally but have to work very hard at it. I am an avid movie fan and especially enjoy the Marvel and DC franchises. Oh, and I am a resident expert in all things Star Wars. I love playing video games, acting, and playing sled hockey. I also collect vintage cell phones. Who's your favorite superhero? My favorite superhero is Batman. I think he is my favorite because he was the first hero I was fascinated with as a child. How did you get cast in Speechless? What was the audition process like?I credit my love of acting to my sister Kelsey who is a veteran Broadway actress and currently a junior at Pace University in New York. We are very close, and I developed an interest in acting when I was younger through watching her many shows. My sister’s agent asked if I was interested in acting, and I eagerly jumped on board. I made my television debut on an episode of Blue's Clues when I was 9, and later appeared on several episodes of Sesame Street. When I was 15, I played the role of Barry in Jason Reitman’s movie Labor Day, with Kate Winslet and Josh Brolin. To answer your question of how I was cast in Speechless, I have to go back a year and a half when my agent was asked to have me send in a "personality tape" for an "untitled Scott Silveri project." I put together a tape of me just talking about myself and joking around. Time went by, and I never heard anything else. A year later, my agent called and said they had requested another personality tape for the same project, now titled Speechless. So I again put together a personality tape just talking about my interests and joking around. A few days later the agent said the casting director was sending six scenes over. I spent an entire Saturday putting together the tape of the six scenes. My parents verbalized all of the other characters lines (off-camera) while I reacted to all of the dialogue on-camera. My sister was at school, so my mom sent her the audition footage to upload to the agent. She texted my mom, "This is hilarious, he is totally going to book this." How crazy is that? She called it. The agent told us they loved the tape and would be in touch. About two months later, I found out I booked the role on the day of my 18th birthday, BEST BIRTHDAY PRESENT EVER! What a birthday! That’s incredible. What’s it like working on a television show for the first time? I know that the hours must be long because you have to shoot so many episodes.I love working on Speechless. It has been a blast and I am enjoying every minute of it. We do work really long hours, 10–14 hour days, five days a week, but we get a one-week hiatus off a month. I was not used to working full time, but to tell you the truth, it never feels like work to me, even on the really long days. I guess that's because I am doing something that I love. What does your schedule look like on a day-to-day basis?My schedule greatly varies from day to day. I am usually at the Fox Lot or on location filming, and I have tutoring 10–12. [During our] one-week hiatus every month, we usually fly back to New Jersey. As far as my daily schedule, one day I might be in every scene and only able to tutor during lighting setups and in between takes; another day I might have a scene off and go to tutoring intermittently throughout the day. I get 15 hours of private tutoring in a week. Once in a while, I do get a day off during the week because I am not in any of the scenes scheduled to film that day. When I come home at night, I read through and prep for my scenes for the next day, watch a television show, and go to bed. There’s an episode where Minnie Driver's character, Maya DiMeo, gets the principal to cancel a bonfire party. It was a great way to think about accessibility and how the majority should handle minority concerns. What would you have wanted in that situation?If I was in that situation, I definitely would not have wanted the event canceled. I would have wanted a solution for me to get to the beach, a zip-line to the beach or an all-terrain beach wheelchair. The writing seems "lived in" to me. Would you agree with that? Do you have input with the writers regarding J.J.'s plotlines or character development?Yes, I agree. Many of the writers have someone in their lives that they are close to who is dealing with a disability so they are able to draw from those personal experiences. The show also consults with The Cerebral Palsy Foundation regularly. What are some of your personal experiences that have been incorporated into the show? What was some of the input that you gave regarding J.J.'s disability level?There have been several of my personal experiences incorporated into the show. One is: My mom had a “Micah Manual” for when my grandparents watched me for extended amounts of time growing up. In one episode, Mia hands a book to Kenneth and he says, “This kid comes with instructions?” Another is: I like to watch The Bachelor, and it was incorporated into one of the episodes of J.J. watching The Bachelor. As far as J.J.'s disability level, J.J. was written as having a more severe form of cerebral palsy than I do. So there are times, especially in the beginning when we had to work out J.J.’s abilities and struggles. My parents and I would think about the abilities and struggles of others we know with more severe cerebral palsy and say, "J.J. would probably not be able to do this or would adapt and do it this way." An example is: I can brush my own teeth and pick up a knife and fork and feed myself. J.J., not having much dexterity in his hands, has difficulty with these tasks. It's rare to see a disabled actor on TV: A recent study showed that less than 2 percent of actors onscreen were themselves actually disabled, despite the fact that people with disabilities make up nearly 20 percent of the U.S. population. There have been a few notable exceptions like RJ Mitte in Breaking Badand Daryl Mitchell, who is currently on NCIS: New Orleans. 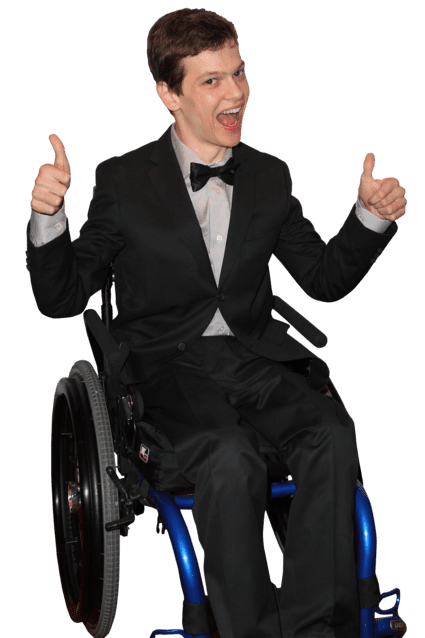 What do you think of the state of representation of disabled people on TV and film?I have not seen NCIS: New Orleans, but I have seen Breaking Bad and I think RJ Mitte is great! What has your favorite episode of Speechless been so far?My favorite episode so far — wow, that is hard! I would have to say the Halloween episode is definitely my favorite that has aired so far. I loved all the amazing costumes our incredible crew created and had a blast trying out the R2D2 costume, and the Back to the Future's DeLorean. I had a blast driving the DeLorean, crashing the DeLorean, and playing drunk! It was fun to watch, too. I love that episode! From New York magazine. In the picture, Director Ben Lewin and co-executive producer Mark Kunerth filming the episode "R-o Road T-r Trip." LOS ANGELES -- Speechless actors John Ross Bowie and Micah Fowler are working through a scene for a January episode of the ABC comedy on the Fox lot. In it, we see JJ’s (Fowler) mischievous side for the first time: During a stop at a crafts fair during a family road trip, somebody mistakenly assumes the DiMeos are selling water from their car, which gives JJ an idea to peddle off the family's junk — yoga pants, a curling iron, among other items — out of their truck. Impressed by his son's initiative, the father (Bowie) and son start conspiring. JJ, who is wheelchair-bound, has a nonverbal form of cerebral palsy which means Fowler (who also has cerebral palsy, but can speak with some difficulty), relies solely on his facial expressions for his performance. “Sometimes I just want JJ to say it,” says Fowler, during an interview in his trailer, acknowledging that depending on only his face to perform can get tough. Before Speechless — the ABC comedy starring Minnie Driver and Bowie as Maya and Jimmy, the heads of the DiMeo family, raising JJ and their two other children in Orange County — the Australian indie filmmaker’s American TV résumé was limited to one episode each of Ally McBeal and Touched By an Angel. Lewin’s approach to actors is simple: Treat each one individually. “Everyone has got a different shtick, a different set of issues, and you work each person in different ways,” he said. “It’s not very obvious, but I don’t relate to Micah as a special-needs actor. Of course, there’s a whole kind of physical element to it, but you’d be amazed how that just disappears. My kids, for instance, don’t cut me any slack whatsoever. Get your own bloody coffee! So I’m not inclined to cut anyone slack because they need more than someone else.” For his part, Fowler is acutely aware of how rare it is to work with a disabled director (Lewin is one of two disabled directors who are members of the Director's Guild of America). The experience taught him, he says with a big smile, that "no dream is too high." The warmly received show is ABC’s newest family comedy to succeed at presenting family life from a specific perspective. In this case, creator and showrunner Scott Silveri (Friends, Perfect Couples) mined his own family for comedy — his older brother has cerebral palsy and he has two younger siblings. Silveri had tried to tell their story for years, but had trouble landing on a tone that didn’t feel preachy. He discovered there were many loving, tough mothers who will do anything and everything to protect a special-needs child the way Maya (Driver) does, harassing the school principal about installing a wheelchair ramp and meticulously orchestrating every moment of JJ’s first date. Driver was drawn to the part of Maya because of how unusual she was. “She has to fight very hard,” Driver says. “She’s in a difficult situation. But she also makes me laugh. She’s got a weird charm." Lewin is the comedy’s first disabled director, but Silveri has notably assembled a team of people who have personal experience caring for others with disabilities. 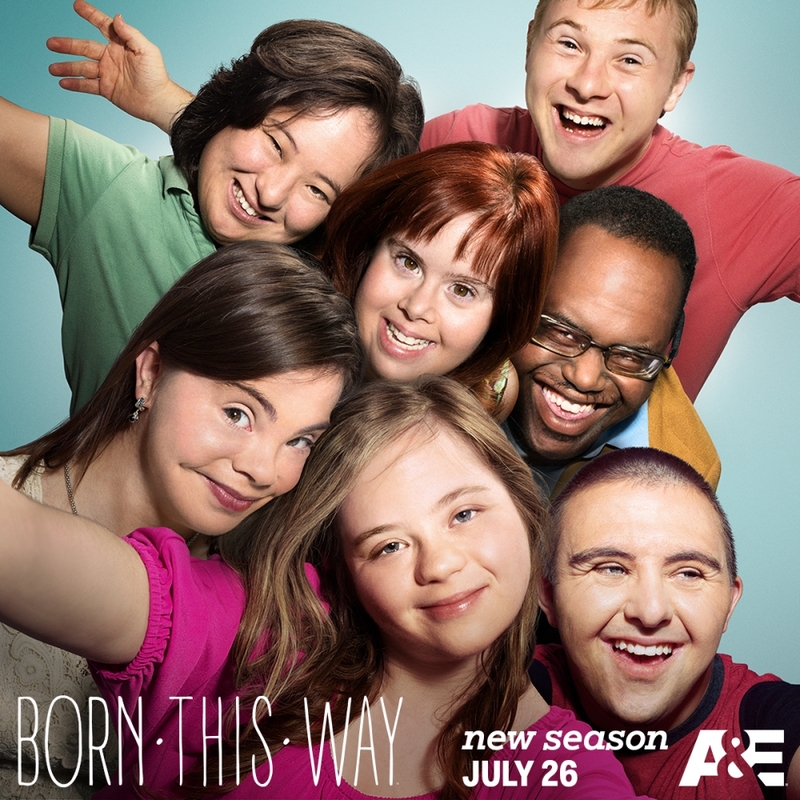 Several of the show’s writers have either siblings or children with disabilities, and Silveri hired two consultants with disabilities. The writers have gone on field trips to physical-therapy centers and listened to guest speakers in their office. The show also struck up a partnership with the Cerebral Palsy Foundation for feedback on story lines and scripts. Bowie, who also has a recurring role on The Big Bang Theory, remembers hearing about Speechless during pilot season from actors who thought the subject matter was too risky. “This is either going to be really, really sentimental or it’s going to be really tasteless,” Bowie recalled of the chatter about the show. “I thought to myself, Okay, what if it’s neither, or what if it’s a decent balance of both? Wouldn’t that be a show I’d want to watch?” Then he read the script and caught onto the show’s dark sense of humor. “Really early on in the script there’s a moment where Ray calls JJ a bully,” he recalls. “I’ve never seen a kid who uses a wheelchair called a bully. I really wanted in.” When Bowie met Fowler and realized playing with nonverbal cues would become a cornerstone of the comedy, he readily welcomed the challenge. In earlier iterations of the pilot script, JJ spoke through an augmented speech device on an iPad, but that “didn’t feel as fun to dramatize,” Silveri says. Then, the producer met a young woman with cerebral palsy (who later became one of the consultants on the show) who uses a communication board like the one JJ uses on the show, and a human aid to verbalize what she is expressing. “They had this great rapport and it was another dynamic to play with, another person to help add to scenes," Silveri says.